The problem is that this premise is parchment paper thin even before you start noticing all the holes in it. The go to joke for the personality switch episode is “whoa, s/he’s acting totally out of character”, beyond that there isn’t much there. What’s worse, your character’s normal personality is the one that makes sense in context. Having them act completely abnormally is generally an awkward fit, at best. 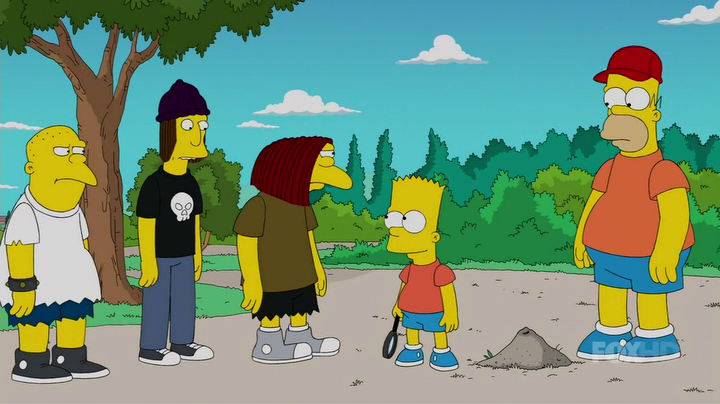 “Bart’s New Friend”, as Zombie Simpsons so often does, brings out the worst of this old and not terribly good premise. By making Homer a little kid who’s friends with Bart, they not only have to shoehorn Kid-Homer into all kinds of bizarre places, but also gave him nothing to do while he was there. When he (twice) shows up to play with actual kids, he doesn’t interact with them or really do anything, the episode just wants us to know he’s there. The same is true when they’re at home, where all that happens is “Homer is a kid”. The family barely reacts and nothing outside of that is even happening. The beginning of the episode is Homer working a ton because he’s now the only safety inspector and actually has to do his job. That whole rationale is dropped completely for the rest of the episode until a lone mention at the end that the other guy game back. 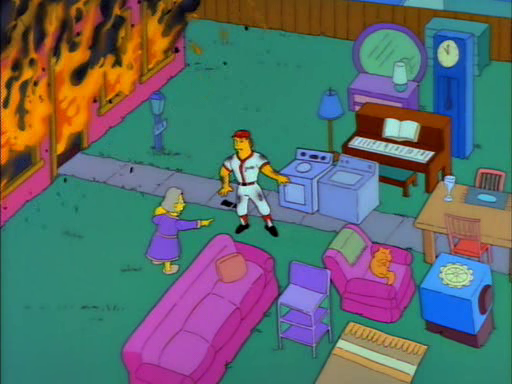 We don’t see anything with the plant or Homer’s co-workers after their safety inspector reverts to childhood. Lenny and Carl don’t try to take him to Moe’s to jog his memory, Burns doesn’t disbelieve his story, nothing. Bart: If you wedgie me, my friend will beat you up. Dolph: That’s not your friend, it’s your screwed up Dad. Kearney: We’ll leave you alone. 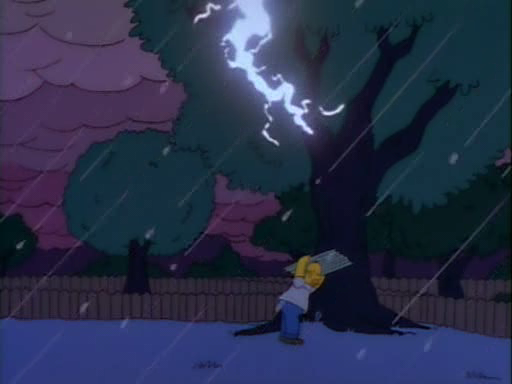 Bart: You did it, Homer! You saved me from the bullies! You’re the coolest kid I ever met. 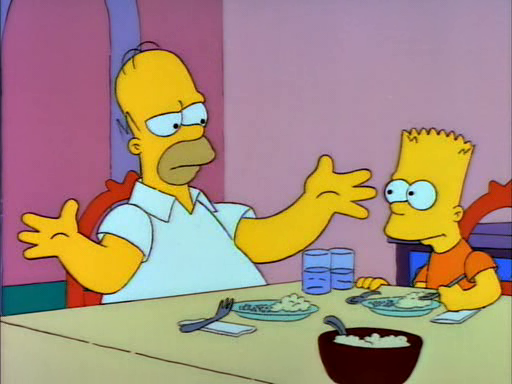 Bart: You’re in the top hundred. For one thing, this is hacktacularly expository. Bart and Dolph explain what’s going on, then Bart recaps it for us (“You saved me from the bullies!”), but nobody actually does anything but stand around. 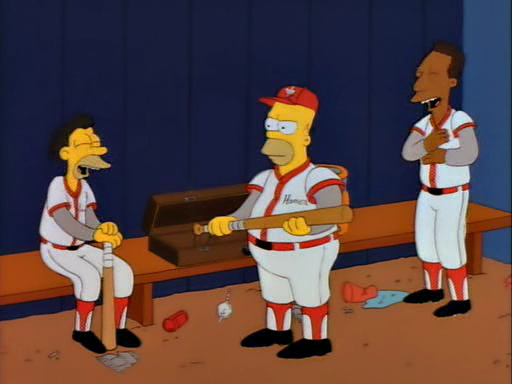 More importantly, in that entire scene Homer doesn’t say a single word. He is literally a prop. Please do not interact with the story’s main character. That silent cameo is about the closest this episode comes to actually showing us some of the effects of the tortured premise it went out of its way to employ. This is the mid-life crisis equivalent of buying that sports car model that was cool when you were fifteen and then leaving it in the garage. It was a dumb idea even before they didn’t try to have any fun with it. 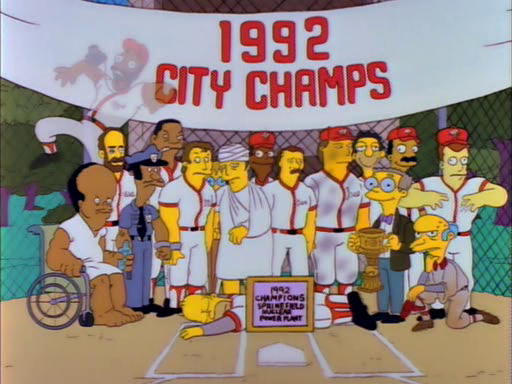 Compare that to the time The Simpsons employed the exact same premise with, of all people, Roger Clemens. 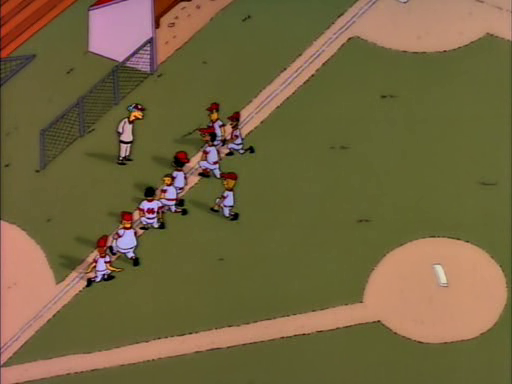 In just a few quick scenes, Clemens goes through an identical story to Kid-Homer, and we actually get to see some of the effects of it, with Clemens being unavailable for the championship game and clucking away instead of pitching. Look at Roger Clemens, he just did an entire episode of Zombie Simpsons in two scenes and you can tell it just by looking at him. A young Judd Apatow who didn’t know how to write yet may have once pronounced himself satisfied with this, but The Simpsons did it better in less than a page. 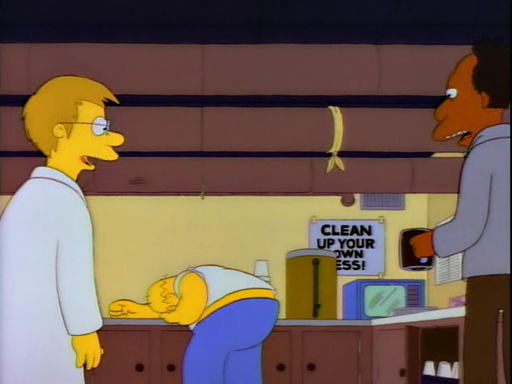 Bloated out to full script length, it’s typical Zombie Simpsons.